This is the Unroot tutorial for the Oneplus 6 phone users. If you are the Oneplus 6 users and rooted your phone with our Guide How to Root Oneplus 6 and Install TWRP, and now looking for a way to Unroot Oneplus 6 and Flash Latest OxygenOS Stock ROM. So you are at the right place, here today we will show you the two working methods to Unroot Oneplus 6 and flash the Stock ROM. If you are the rooted Oneplus 6 users and facing some issues on your phone after rooting and don’t know how to fix it up. To all your questions the answer is flash the OxygenOS Stock ROM and unroot the phone. All you have to flash the latest Oxygen OS rom on your phone and you are done. 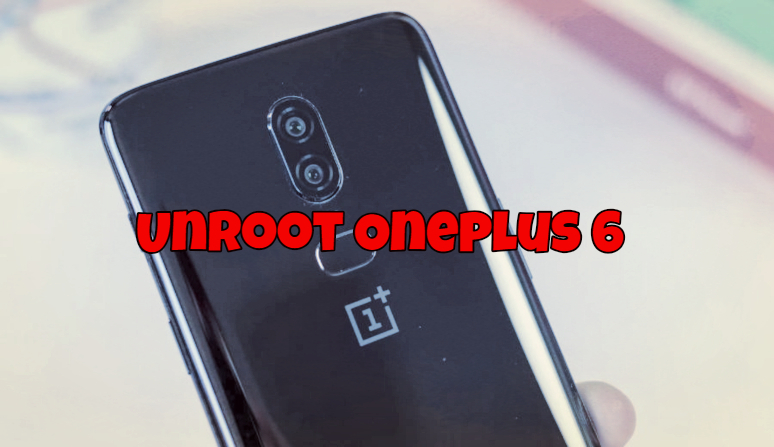 This is one of the safest and easiest methods to unroot the rooted oneplus 6 phone, but this method will erase all the data from your phone. So make a backup of your phone before proceeding to this process. As we mention above here we are going to show you two methods to unroot the Oneplus 6 phone. In first one we flash the Oxygen OS recovery ROM with the help of TWRP to unroot the phones. And in the second method, we will flash the OxygenOS fastboot ROM with the help of fastboot method. There are so many benefits of Rooting, but it also will usually void your warranty and make repairs impossible and sometimes the phone is not responding properly due to some changes in the system. To fix all these problems you have to unroot the Android phones. Warning: Technobuzz.net is not responsible for any damage that might happen to your phone during this process. You’ll lose all your data by following this guide. so do take the full backup of your phone. Read all the instructions very carefully and follow all steps one by one on your Oneplus 6 phones. So let’s get started and Unroot Oneplus 6 and Flash Latest OxygenOS Stock ROM. Oneplus 6 With Unlocked Bootloader. Download ADB and Fastboot platforms folder here to run fastboot files. Make sure that your Oneplus 6 has enough Battery. Above 70%. If you are the rooted user with TWRP custom recovery then this is the best way to unroot your phone and flash the latest official version of OxgenOS on your phone. All you have to download the latest OxygenOS recovery ROM and flash on your phone. Download the latest OxygenOS Android version for your OnePlus6 from below mention link. The firmware file is rather large (1–2 GB), so it will take at least a few minutes to download. Once the firmware file is downloaded save the zip file in the phones internal memory. 1. Boot your Oneplus 6 in TWRP recovery mode. To do this, Switch off your phone. Then hold down Volume Up and Power buttons until you see the fastboot menu. Then use Volume keys to select “Recovery Menu” and hit the Power button to enter TWRP recovery. 2. Once your phone in the TWRP recovery mode. 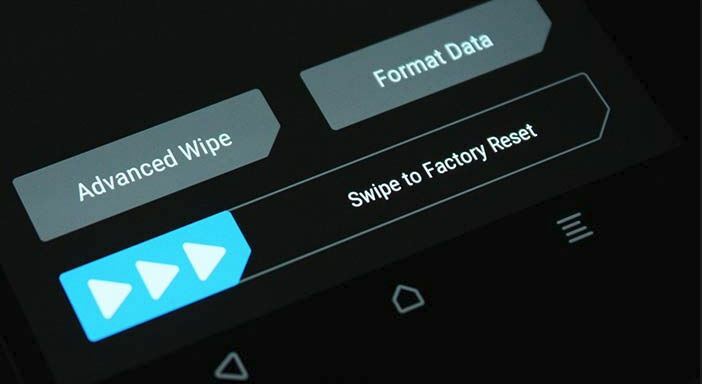 Go to the Wipe and do a factory reset. This is important If you don’t do this, you will be stuck on a bootloop. Best way to avoid bootloop is simply just doing a factory reset and you will boot 100% of the time. 3. Once done. Go back to the Home screen and tap of the Install Button. Locate the OxygenOS zip file. And Swipe to Confirm Flash. 4. Now the flashing process will start on your phone. Flashing should take about 5 minutes and when done, simply reboot. 5. Now your phone has stock recovery, stock firmware, and everything stock. If your Oneplus 6 don’t have the TWRP recovery or TWRP recovery is facing some problem then use this method to flash the fastboot OxygenOS rom on your phone. The fastboot method works very well and will get you out of any unfortunate situations due to new file partitioning system on the OnePlus 6. To follow this method make sure that you downloaded the ADB and fastboot files from the Requirement section. And all you have to download the fastboot ROM for oneplus 6. Fastboot ROM is different from the Stock Recovery ROM. To Flash fastboot ROM you need a PC to run the fastboot files from your computer to your phone. Below is the link to the latest Oxygen OS fastboot ROM. Download the File and Unzip the folder on your desktop. 1. Power off your OnePlus 6 and boot the phone in fastboot mode. 2. Now hold down Volume Up and Power buttons together until you are in Fastboot mode. 3. Now Connect a USB cable from your OnePlus 6 to your computer. 4. Unzip the stock firmware zip file you downloaded above on your desktop. 5. For Windows users, simply double-click on flash-all.bat and wait 10 minutes. DO NOT TOUCH ANYTHING! 6. Now the flashing process will be started and once it is finished your phone will reboot automatically. For Mac or Linux, change all file permissions to 755, then run flash-all.sh. So with this guide, you can easily unroot your Oneplus 6 phone and install the latest OxygenOS firmware. If you need some help or stuck with some problem, you can always contact us below in the comments. There is no flash-all.bat in the zip file. What do we do?